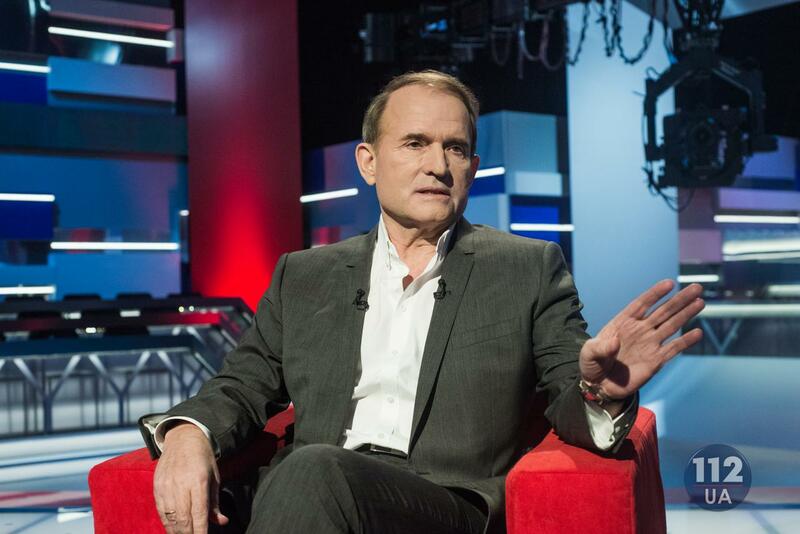 Viktor Medvedchuk was a guest in "Maga" TV program on 112 Ukraine. "It would not be correct to say that I have not been in politics before. There was a "Ukrainian choice" public movement. The policy is power. I have not been in power since 2005. I have left on January 21, 2005, after Yushchenko was elected president. And, by the way, not really going [to be involved in politics] today. Speaking about the “Opposition Platform - For Life” and its participation in parliamentary elections, this question is open for me today. I am ready to do it, but I have not decided for myself to what extent I am ready to do it… I understand that there are things that could be done only by me. Not because I am the smartest or the most prepared person here. This is because I have such opportunities. Let us take away the knowledge, intelligence, communication as a resource, as a filter of opportunities. I have been trying to achieve some kind of result since May 2014. I feel and I am sure that we can reach peace. We can negotiate on peace. And I understand everything: here are those barriers, related to me, and the actions of the authorities, consciously or unconsciously, interfere with this. But I still think that this must be completed. This must be accomplished due to only one goal: I live in this country, I am a very wealthy person, I could live in any other country. But I am not going to do this fundamentally. This is my country, my parents are buried here, my family lives here, we feel well here, and most importantly, I feel great here. I understand everything that can happen to me, I understand all the risks and dangers, but I will continue. Not for hype". As we reported earlier, Viktor Medvedchuk, the politician and the head of 'Ukrainsky Vybir' (Ukrainian Choice) political party faces prosecution in Ukraine. Ukraine’s Prosecutor General's Office opened the case against him in state treason and encroachment on the territorial integrity and sovereignty of Ukraine. The basis for the criminal proceeding is an application of the Ukrainian MP from the People’s Front political party. The criminal case opened against the politician for his proposals on settlement of the military conflict in Donbas by granting the region with autonomy and capturing that in the Constitution of Ukraine. Medvedchuk voiced the proposals at the All-Ukrainian Congress of the party on January 29.